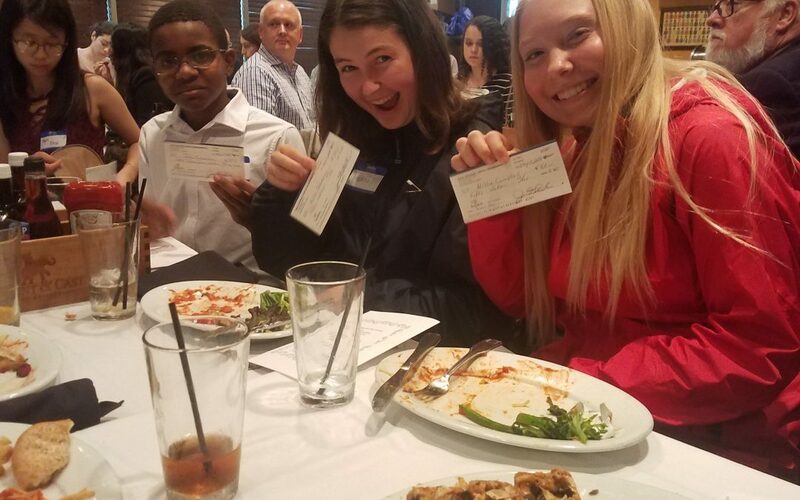 Ninth graders Jalen Richardson, Alicia Campbell, and Helena Ikenberry were awarded prizes for their science fair research at a banquet at the Elephant and Castle downtown this week. The Federal Water Quality Association honored high school students for cutting edge science fair projects in water quality. Richardson earned an award for his project using a magnetic fluid to clean oil spills, and Campbell and Ikenberry won for their project on the effectiveness of oyster filtration compared to a Brita filter. Students attended an awards banquet with physics teacher Mr. Torrence. This was one of several awards these students earned from the work they presented at the citywide STEM fair.